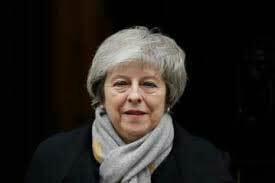 Brussels, Jan 16 (IANS) The European Union (EU) asked Britain to clarify its intentions on Brexit shortly after the deal negotiated between British Prime Minister Theresa May and the EU was rejected by a large margin at the Parliament. Jean-Claude Juncker, president of the European Commission, said in a statement that he has taken note of the outcome, and that the rejected Withdrawal Agreement is a fair compromise and the best possible deal. “It reduces the damage caused by Brexit for citizens and businesses across Europe. It is the only way to ensure an orderly withdrawal of the United Kingdom from the European Union,” Juncker said, reports Xinhua. The UK parliament on Tuesday rejected the Brexit deal in a 432-202 vote, further complicating the country’s historic exit from the European Union. Politicians and scholars from the EU and member states voiced concerns for a no-deal Brexit and urged for preparations for such a scenario. “If no one really wants a no deal Brexit, then Brexit simply has to be delayed. Pressure for a new referendum will in all probability increase. And that takes time. But then EU should give the time,” Carl Bildt, co-chair of the think-tank European Council on Foreign Relations, tweeted. “I deeply regret the outcome of the vote as I regret Brexit as such. Now we need a fast and clear plan on how to proceed. Because that’s what we need to do: finding solutions, not problems. Our internal preparations to limit the damage in case of a No-Deal shall go ahead in full steam,” said Xavier Bettel, Prime Minister of Luxembourg, in a tweet. “No deal. No delay. Belgian federal government is preparing for all options. Belgian Customs will accelerate its efforts to assist our Belgian companies,” Belgian Deputy Prime Minister Alexander De Croo tweeted. “Brexit vote is bad news. Our first thoughts are with 3.6m EU citizens living in UK and Britons living elsewhere in EU. They need assurances with regards to their future. We will always stand by their side,” Antonio Tajani, president of the European Parliament, tweeted. “The UK Parliament has said what it doesn’t want. Now is the time to find out what UK parliamentarians want. In the meantime, the rights of citizens must be safeguarded,” Guy Verhofstadt, a Belgian politician and key member of the European Parliament, tweeted.